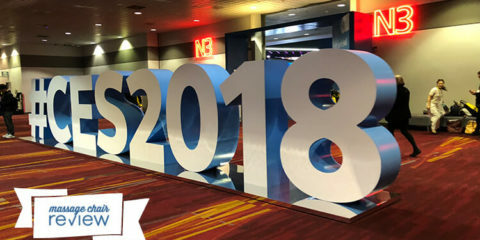 We went into this BestMassage EC-161 review expecting the zero gravity massage chair recliner to be at least as good as the BestMassage EC-06 model. 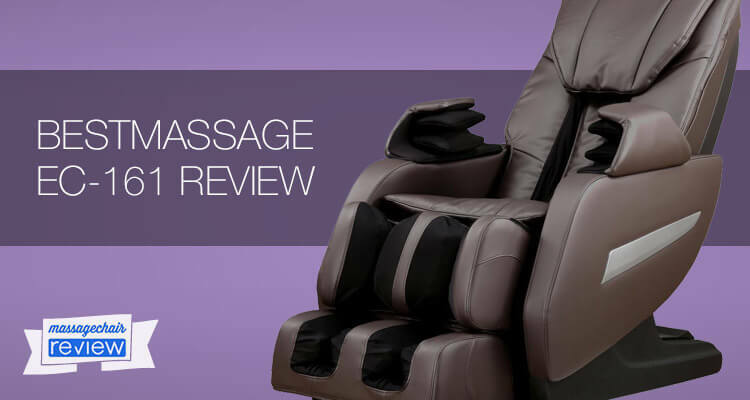 After all, the EC-161 from BestMassage offers several upgrades from the cheaper EC-06, including a zero gravity feature, improved sensors to detect the user’s position in the chair for a customized massage, and an extra long rail L track. But what we discovered set off warning flags. And BestMassage EC161 review complaints extended beyond poor service or chair malfunctions right out of the box, which happens with about 8% of BestMassage chairs, according to research. The BestMassage EC-161 may, in fact, be the worst of the worst. 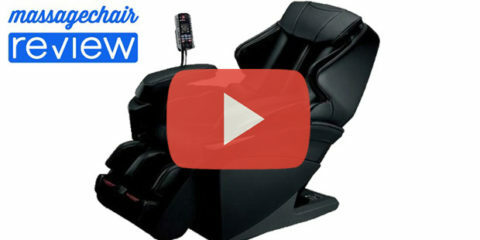 One BestMassage EC-161 review called the chair a “torture machine… just plain awful!” This chair may seem to have many of the luxury features of higher-priced electric zero gravity massage chair recliner models. But it fails to provide the comfortable, relaxing massage that anyone investing in a zero gravity massage chair hopes for. 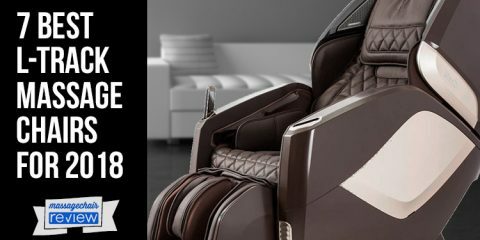 If you would prefer a luxurious zero gravity massage, we encourage you to explore a high-end, bestselling model like the Human Touch Novo XT, with two zero gravity settings and an extra long hybrid L/S track for an extended full body massage. 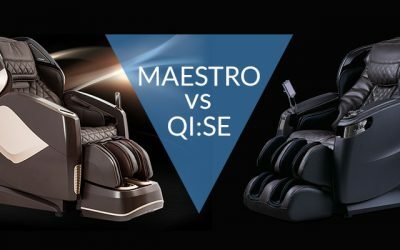 If you’re looking for the extensive benefits of zero gravity massage, you may be surprised to discover this feature is not available on every electric massage chair—even some of the more expensive on the market, like the ultra-high-tech Cozzia Qi. The reason? Not everyone likes the feeling of weightlessness during a massage, so why pay for this feature if you don’t use it? 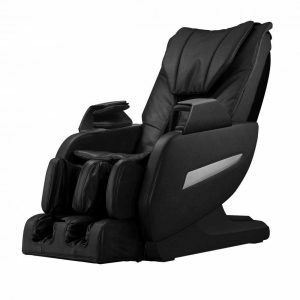 However, if you do want enhanced relaxation during your massage, improved circulation, better lung function, and a position that alleviates pressure on your spine, the BestMassage EC-161 zero gravity massage chair provides these benefits for under $1,000. massage chair. Many massage chairs today offer heated rollers to deliver heat throughout your back and help the rollers feel more like a human touch. The BestMassage EC-161 lacks that feature but does apply heat around the waist, which is a nice touch and helps loosen core muscles to relieve pain and improve recovery after a workout. Another feature found in many high-end massage chairs, the BestMassage EC-161 includes an extra long rail L track that spans a full 49 inches, for a massage that begins at the top of the neck and ends at the thighs. You might expect to pay thousands of dollars more for long rail L track technology, but the BestMassage EC-161 offers this feature in a chair that costs around $800 or less. The rollers in the footpads of the BestMassage EC-161 deliver an effective shiatsu foot massage, completing a process called “scraping,” which can improve overall health using reflexology techniques. The BestMassage EC-161 offers four different programs and six different massage styles so you can customize your massage to your preference. Choose from “relax,” “extend,” “recover,” or “refresh,” depending on your goals and need for pain relief, muscle recovery, or both. The dual rollers on the BestMassage EC-161 can provide shiatsu style massage, tapping, kneading, deeper tapping, and a combination of tapping and kneading to imitate the movements of a human masseuse. 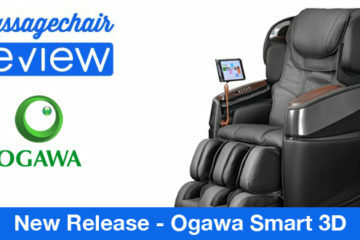 The BestMassage line has finally caught up with higher-end models to offer an integrated airbag design for arm massage. More comfortable than the wrap-around or u-shaped arm massage options, the fourth-generation technology uses airbags that pulse to provide a relaxing massage across your entire arm. At least one BestMassage EC-161 review on Amazon called the arm massage airbags “painful,” noting that there were not enough airbags throughout the chair. In spite of its high-value features like zero gravity, heat, and the extra long rail l track, the BestMassage EC-161 has several flaws that could be deal-breakers for wise consumers. The chair boasts OPTO sensor technology, which is supposed to sense the user’s size and body position, especially the position of the shoulders to deliver a more effective, customized massage. In conjunction with the flawed OPTO sensor technology that fails to detect the user’s true position, the massage rollers are too rough for many users. In one BestMassage EC-161 review, the user pointed out he had to add extra padding to the back, neck, and shoulder area to achieve a comfortable massage. 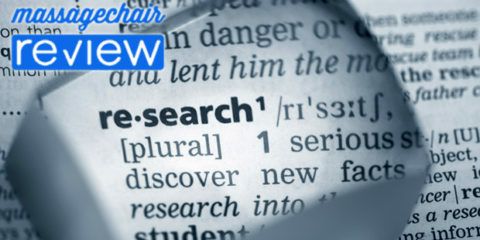 Another reviewer called the electric massage chair a “torture machine” because of the strength of the rollers and the lack of padding in the chair, along with the poor roller positioning. “It doesn’t seem to accurately measure your body and can be EXTREMELY PAINFUL,” according to one BestMassage EC-161 review. 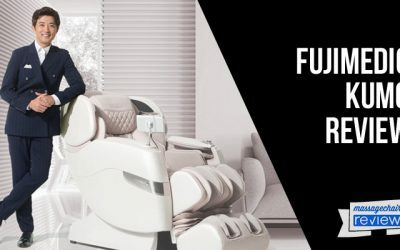 If you are paying close to $1,000 for a massage chair, you want a chair that delivers a comfortable massage, don’t you? The EC-161 electric massage chair recliner is best-suited for people between 5’ and 6’ tall and less than 265 pounds, which is the chair’s maximum weight capacity. At just under 250 lbs. 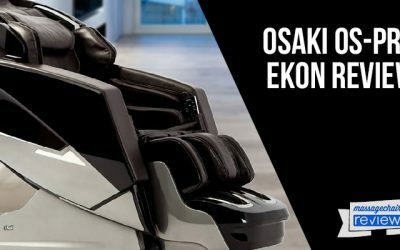 total weight and with rollers on the bottom of the electric massage chair for greater mobility, the EC-161 may be easier to move than other BestMassage recliner models. But that doesn’t mean you will want to carry it upstairs or into a bedroom, office, or family room by yourself. Just like other BestMassage models, the electric massage chair recliner will be dropped at your front door and you’ll need to find your own assistance to get it in the house and set it up. Once you do get the chair in the house, be prepared to put on your thinking cap, as the old saying goes, to assemble it. The instructions, if they are included, are hard to follow. And you can’t dial customer support for help because it’s highly likely no one will answer the phone. Others pointed out that there is no customer service if you are unhappy with your purchase or if it doesn’t work. You simply can’t reach an employee to help you via phone or email. 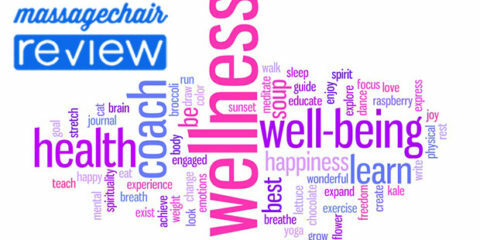 Many people who purchase a BestMassage model think they are making a long-term investment in their health and well-being. Unfortunately, that is often not the case. There are countless other reports of the chair failing within a few weeks, a few months, or worse, immediately after the one-year warranty expires. If you understand that you are getting what you pay for and the BestMassage EC-161 electric massage chair is not a lifelong investment, you may be happy with your purchase. But you should be aware that if it breaks, and you do reach the customer service representatives, you will have to pay $300 shipping to return the chair. The company will not send a field technician to fix the recliner. If the warranty has expired, you can pay for shipping and repairs, or simply chalk it up to a bad financial decision and try to get rid of the chair. You’ll have to pay someone to haul the chair away because this is not something you can leave out for trash collection. 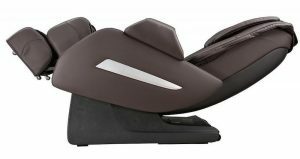 The BestMassage EC-161 electric zero gravity massage chair recliner with heat and long rail l track is positioned to be one of the top in the BestMassage line. 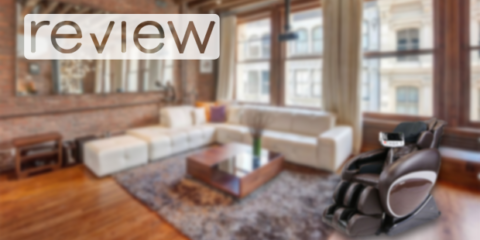 But too many consumer reviews call the chair painful, uncomfortable, or unreliable. 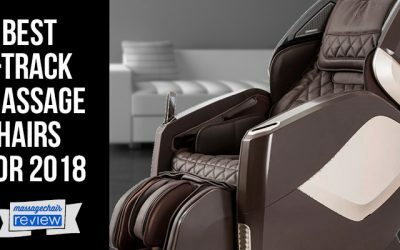 It’s tempting to think you found an affordable massage chair recliner with features like smart sensing technology, long rail l track, and zero gravity for under $1,000. Especially if you feel a pricier massage chair is out of your budget. 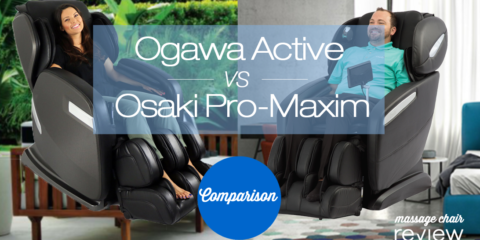 But we’d urge you to consider financing a high-end luxury massage chair like the Ogawa Active L massage chair or the Human Touch Novo XT. 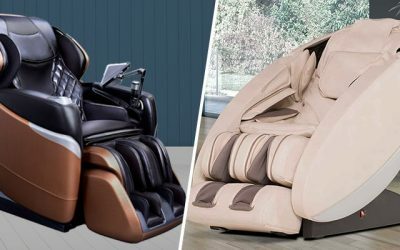 Both of these zero gravity massage chair recliners feature a hybrid LS track and reliable, state-of-the-art body scan technology to ensure a comfortable, customized massage every time. Your health is worth the investment. Only good for users up to 265 lbs. If you still decide that you would like to purchase a BestMassage EC-161 Massage Chair, please use our affiliate amazon link below.